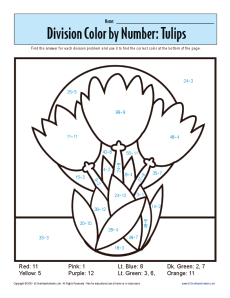 This isn't your usual color by number page! Each color is represented by the quotient of a division problem. When your student solves the equation, he'll know the right color to use. Now, that's fun!